Living wall planters are an excellent way to green up a small place without sacrificing floor space. But if you shied away from the idea because you have a brown thumb or think indoor gardening is a major hassle listen up. Flowerbox, a company, dedicated to bringing nature into people’s homes recently, launched their dazzling Preserved Collection. It’s a line of maintenance-free natural plants that have been preserved using an eco-friendly and unique conservation process. The treatment allows the plants to retain their lush beauty, softness, and natural freshness without water, sunlight or soil for a minimum of 5 years – guaranteed. I found seven items from Flowerbox’s Preserved Collection that are perfect for small spaces. My first pick is the wooden “Love” wall frame planter. It's full of preserved Moss Lichen. There's more so read on! The Eco Glossy shown above has a crafted cardboard frame that's available in five different colors. I like green. FYI, all of the plants in the Preserve Collection are 100 percent biodegradable. Check out these tiny indoor gardens. The man and woman shaped planters are available as a set. The wooden frame is full of preserved Moss Lichen. Here are more vertical garden ideas. This colorful vertical planter is available in white (shown) or red. This idea turns your windowsill into a vegetable garden. This wall frame planter is made from wood. Larger sizes are available. This one is super sweet. The wooden frame is full of preserved Moss Lichen. 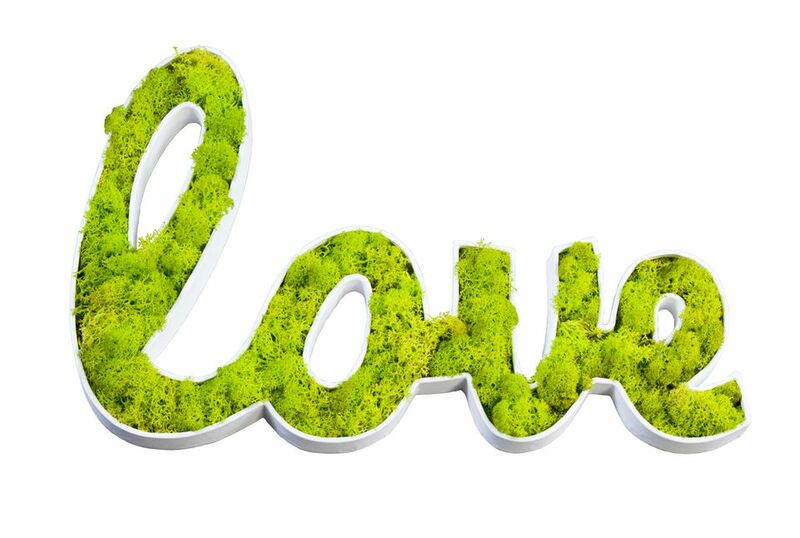 You can make a big green statement with this large living wall frame.